I’m always on the lookout for unusual Aussie places. But staying in a Tuberculosis Sanatorium SO wasn’t on my radar. Even if it DID have a staggeringly scenic loo and a killer view of the Heysen Range in South Australia’s Northern Flinders Ranges. Is this the most Scenic Public Loo in OZ? The view from Angorichina Campground! 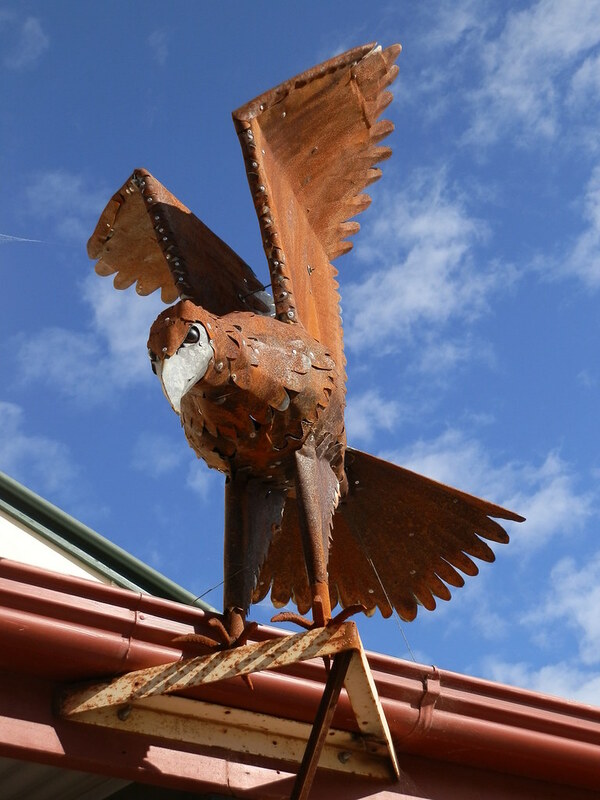 Angorichina Tourist Village – ‘Ango’ to the locals – about half-way along the 30 km (19 mile) stretch of dirt road between Parachilna and South Australia’s highest town Blinman is one of those rare places with a little bit of everything. Built after World War 1 as a retreat for servicemen with tuberculosis, it’s got one of Australia’s most picturesque campgrounds. AND gave us the chance to practice our mud-running skills when the rain that started a couple of hours before we left turned the road from gravel to a miry dirt soup! 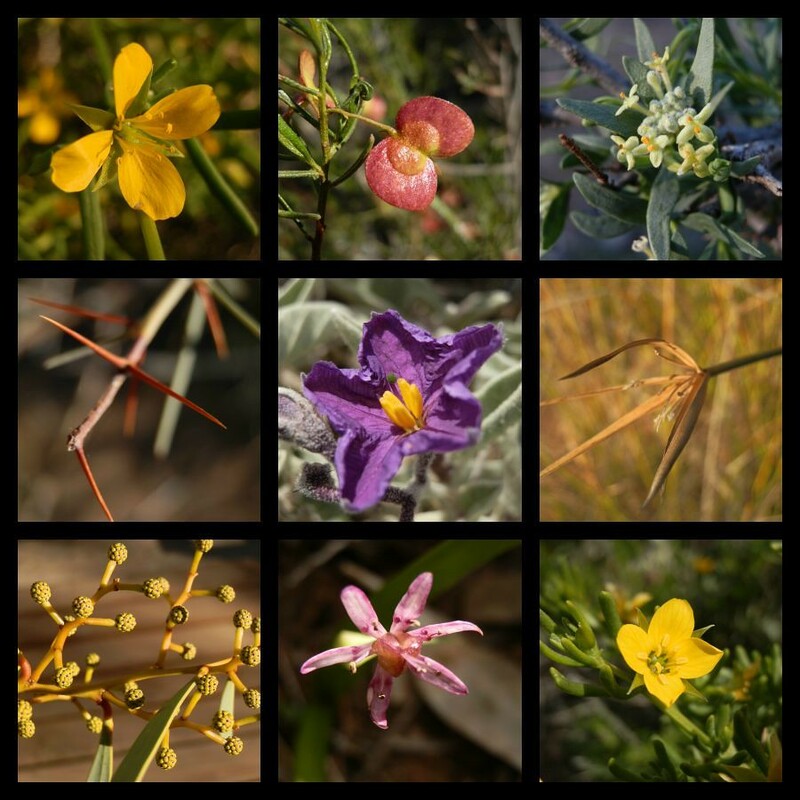 Here’s what WE got up to at Ango! Sliding down a treacherously steep scree-covered slope awash with potentially toxic mine site leavings from the century before last could have been responsible. Or perhaps lurching sideways to (unsuccessfully) avoid the sharp rocks littering the embankment AND (sucessfully) avoiding the gaping adit* directly below them might have done the trick. Either way, I’d ripped the seat out of my jeans and had a prickle in my bum. The bad luck that plagued what is arguably Australia’s least successful mine – investments of over £57,000 with a return of only £13,000 – had clearly rubbed off on me! But Nuccaleena isn’t just a long-deserted copper mine site with a transferrable death wish – it’s at the end of a remote 4WD Public Access Route** with enough rugged road, creek crossings, tyre-shredding rocks, erosion AND killer scenery photo stops to make the last 14 km (8.7 miles) of the 36 km (22 miles) drive from Angorichina Village take nearly an hour of fun-filled 4WD fantasy! For those like us with less clearance and less experience in the Boys Own Adventure art of Four Wheel Driving, that is. It’s hard to imagine a full scale mining operation in this remote spot despite a number of building ruins, an 85 metre (279 feet) long tunnel (a trap for dead kangaroos) and stunning scenery all around. It’s all great fun to explore – if you’re alert to mine shafts, falling rocks, rotting wood and slippery slopes. And stray Spinifex! 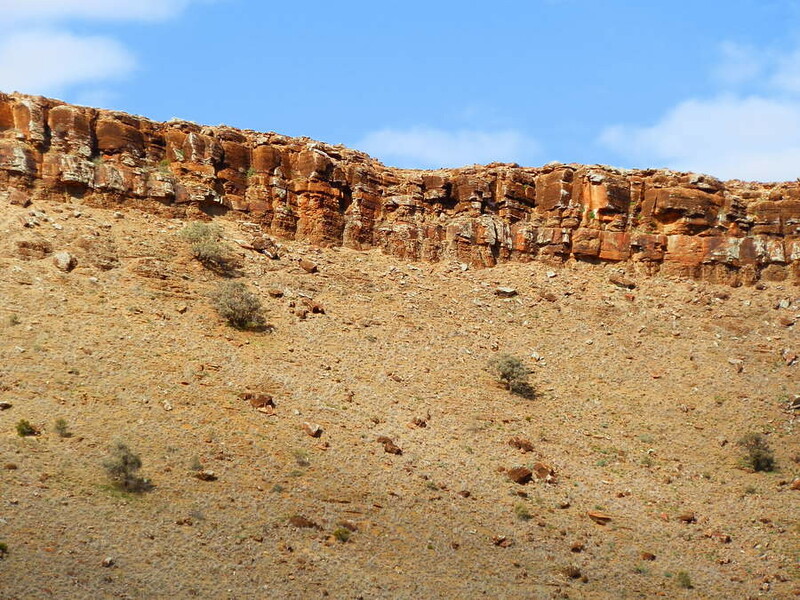 Return the same way, or drive a scenic loop via Glass Gorge and Blinman to Angorichina, 47 km (29 miles) from Nuccaleena. I’m not sure who owned the Reg Grundys*** sodden and forgotten on the rocks of Blinman Creek. And I didn’t want to think how they got there! But the smart money was on one of the hot young blokes in the school group who trotted past us en route to Blinman Pools. As they passed, one of the responsible adults confided that the boys were keen for a swim despite the nearly sub-zero winter temperature of the water. The even smarter money said it wasn’t ME they were trying to impress. Hiker information about the 10 km (6.2 mile) return hike from Angorichina Village to the first pool describes the walk as ‘challenging’, with multiple creek crossings, rock-hopping, some steep climbs (ie up a waterfall) and a sometimes unmarked track. 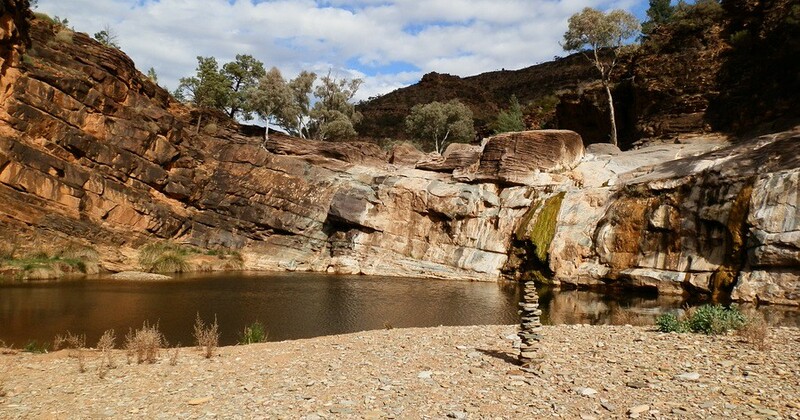 Despite that, finding the first pool is a no-brainer – just keep walking up the dry creek bed! Interesting rock formations, gorges, cliffs, an island, pools, wildlife and a waterfall make this a varied and interesting hike. The second pool is only another kilometre upstream, but we gave it a miss left it for next time. I took 2 ¾ hours (with MANY photo and exploratory stops) to walk the 5 km upstream; and 2 hours to return – possibly because the track was easier to find while walking downstream! The hot young things were long gone by the time I returned to Ango. No one gets to challenge ME for my title of Australia’s slowest hiker! But I’m still wondering if the hapless owner of the Reg Grundys underestimated the effect near-freezing water would have on his ability to impress the girls?!?! If you’re looking for the longest man-made structure in the world snaking across the landscape for hundreds of kilometres and reportedly visible from the moon, you’ll probably be disappointed with Mount Emily’s Great Wall of China. For the real thing, spend the bucks and head overseas. But for the all-natural Aussie cheapskate version, take the road to Hawker for about 15 km (9.3 miles) south of Blinman (29 km from Ango), and check out Mt Emily!! It’s one of quite a few natural rock formations downunder with the words ‘Great’, ‘China’ and ‘Wall’ in their names – no one accuses us Aussies of overactive imaginations in the place-name stakes! Mt Emily’s a great spot to have lunch especially with a traditional Cornish pasty (watch out for the dessert at one end) and/or Quandong Pie (trust me – get BOTH!) from the excellent Blinman General Store and Bakery. Besides, the REAL Great Wall of China ISN’T the longest man-made structure on earth – that honour goes to the all-Australian Dingo Fence! The sun was getting very low in the sky as we headed out for a late afternoon stroll along the Heysen Trail – the iconic 1200 km hiking track through quite a LOT of South Australia. It starts (or ends) in Parachilna Gorge just a few kilometres west of Angorichina and ends (or starts!) in Cape Jervis on the Fleurieu Peninsula. 1200 km was a bit far for a casual stroll, so we took the shorter 6 km return option – or would have if a case of terminal laziness and LOTS of photos hadn’t meant we didn’t make it to Parachilna Gorge at Wild Dog Creek****. But walking a short way along the trail through massive dry creek beds, along spinifex-laden slopes and between a staggering array of mountains meant I could channel the late, great artist Sir Hans Heysen OBE for whom the trail is named. With photos, anyway – I’ll never be an artist! It’s no accident that the Heysen Trail starts here, in Parachilna Gorge. Some of Sir Hans’ best known works – The Land of the Oratunga (1932); Aroona (1939); Patawarta , Land of the Oratunga (1929); In the Flinders Far North (1951); and The Three Sisters of Aroona (1927) were painted right here in the Northern Flinders Ranges. Where even a non-artist like me is moved to attempt to capture the magnificent scenery at sunset in these photos all taken within just a kilometre or so from the trailhead. Luckily, we had a watertight excuse to get back – after dark, the road is awash with kangaroos! NIL = Amount of time spent by me channelling Cornish Miners in Australia before doing the Blinman Mine Tour. That’s why I didn’t know what chipping out tunnels and stopes with a hammer, chisel and explosives, lit only with candles and protected only by a leather helmet inside the equivalent of an underground 50-odd storey building for 12 hours a day, 6 days a week felt like. Praise be that I still don’t know what it REALLY feels like, but after an hour on the excellent Blinman Mine Tour and the 1 km self-guided interpretive walk around sections of the mine site above the surface, I had a pretty good idea. 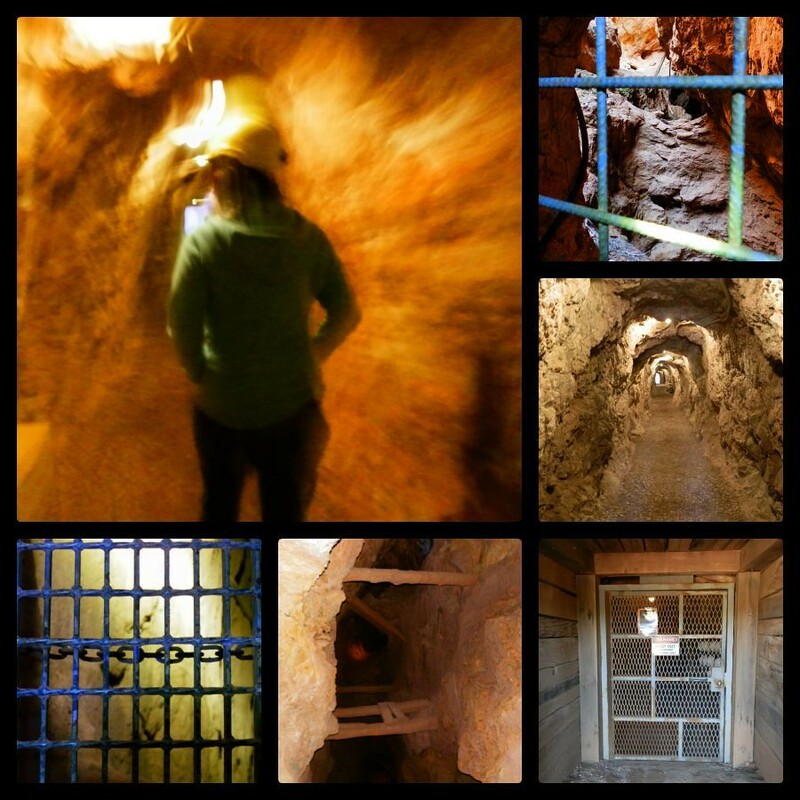 Unlike the Nuccaleena Mine, Blinman’s Mine Tour goes deep underground – which makes it MUCH easier to channel those Cornish miners, despite the hard helmets and lights the miners never had. And without the killer dust from the drilling, explosives and a few hundred miners jostling for position under the surface at any given time. And spending only 1/12 th of the time underground than the average miner spent on a shift. Actually, perhaps it’s NOT that easy to channel a Cornish miner’s experience after all. These days, with modern mining techniques and machinery, the section of the Blinman Mine that took 8 years to tunnel out would only take a couple of weeks. And while it’d leave a dirty great hole in the ground instead of the intricate network of shafts and stopes inside the Mine, the chances of modern day miners being affected by silicosis of the lungs, fatal injuries and unpleasant working conditions like their counterparts of yesteryear would be virtually NIL! Contact The Blinman Mine Office for current prices (my July 2015 tour cost $27.50 for an adult ticket; there are concessions and cheaper prices for children and families. WHERE: 500 km north of Adelaide, South Australia. HOW to get there: Travel north from Hawker to either Parachilna or Blinman. 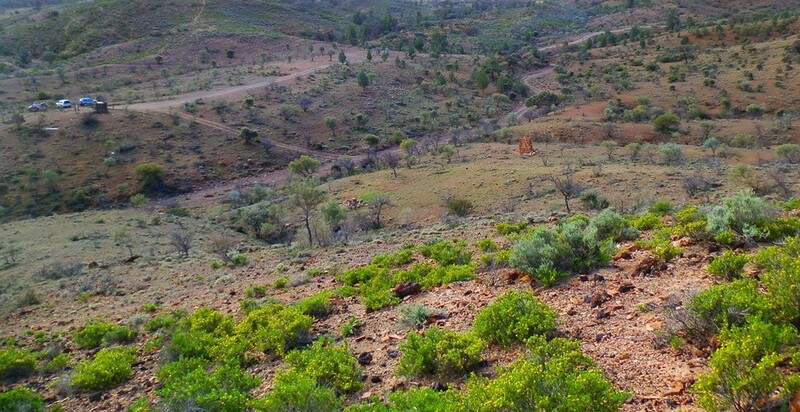 From Parachilna, turn right and travel for 15 km along a dirt road through Parachilna Gorge. From Blinman, turn left and travel for 14 km along a dirt road. WHEN: Angorichina Tourist Village is closed in summer. The Heysen Trail is closed during the fire ban season from November to March. WHAT’S THERE: Campground (powered & unpowered sites); Self-contained accommodation; General Store (supplies, alcohol, souvenirs); Workshop for minor repairs including tyres; Mountain bike hire. MORE Angorichina Photos on Flickr HERE! *** Reg Grundys = undies = underwear (Aussie rhyming slang! **** Wild Dog = Dingo. Wild Dog Creek = one of the most common creek names in Australia! This is an amazing area full of adventure and it would be thrilling to visit. Angorichina Tourist Village is really lovely and the scenic beauty so soothing, no wonder it housed a tuberulosis sanatorium. 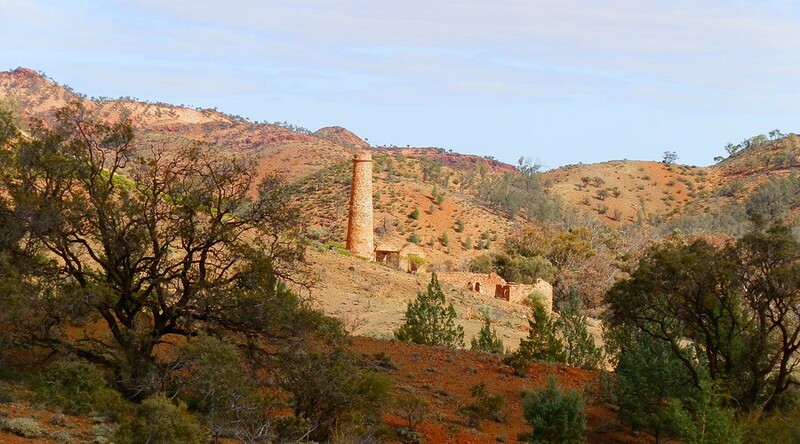 I find the abandoned Copper mines another area of interest, would love to explore this. 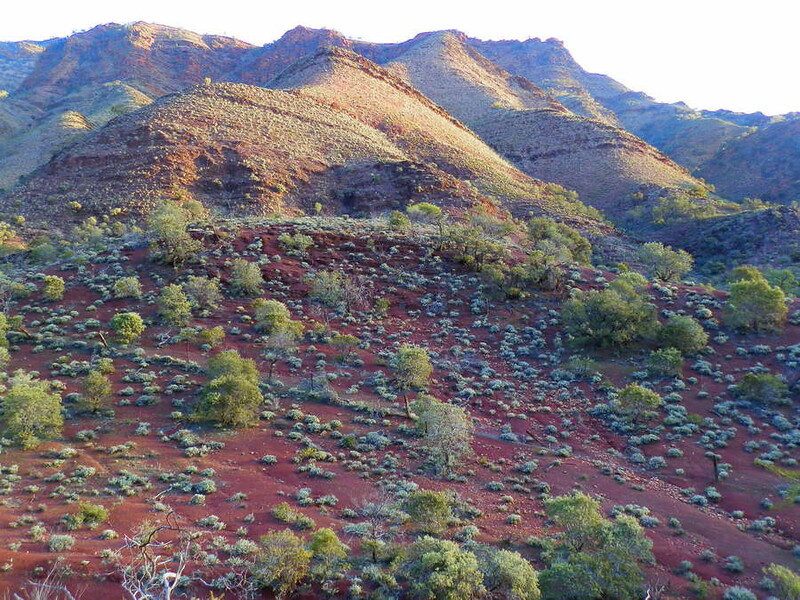 I’m calling this one of the most interesting and varied locations in the Flinders Ranges, Anne! 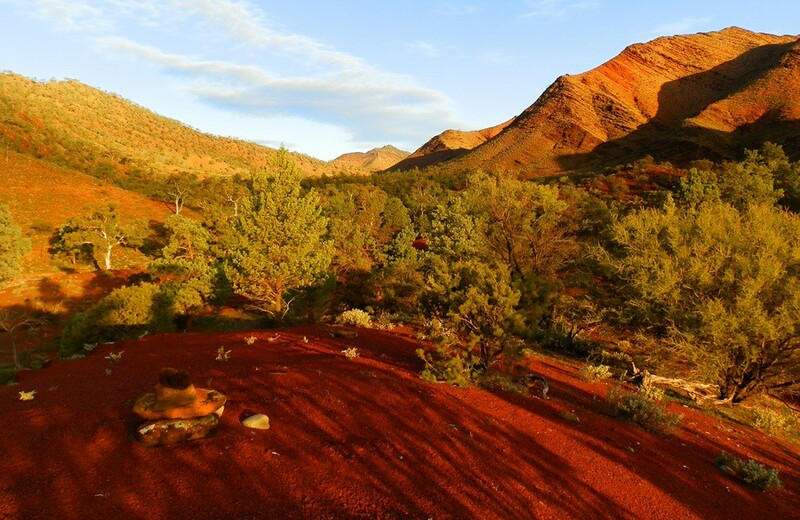 It’s amazing what the miners were able to achieve in Australia because quite apart from the HARD work, the landscape must have felt as alien as if they were on Mars! 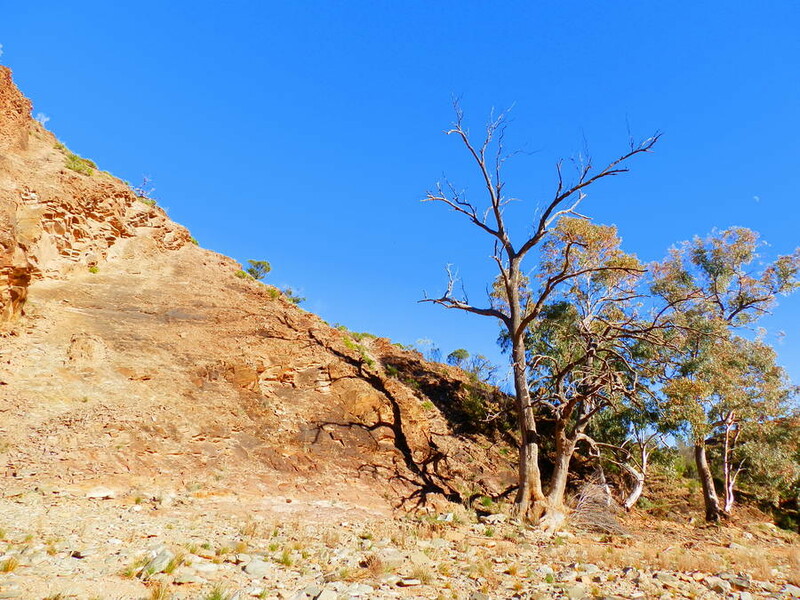 Would love to do the Daydream Mine one day – this trip has given me a new appreciation of old mine sites! You are becoming quite the travel blogger. What is your next calendar going to be? HHHMMMmmm… ‘becoming’, huh?!?! And I’ve found so many new cool loos over the last year or so I’ll probably be doing another loo calendar. There are too many ‘real’ photographers out there putting out calendars of heavily processed random landscapes for my simple little Aussie landscapes to compete with!!! Popping over again to say thank you for the lovely comments! Outchy, sorry you made me laugh about the ripped jeans! I’ve ironed a patch on my jeans now, Iris, and the spinifex is long gone! Glad it made you laugh – it was meant to!! And thanx for your kind comment about my artistic Heysen Trail pic – it’s actually one of my favourites from the whole trip!! 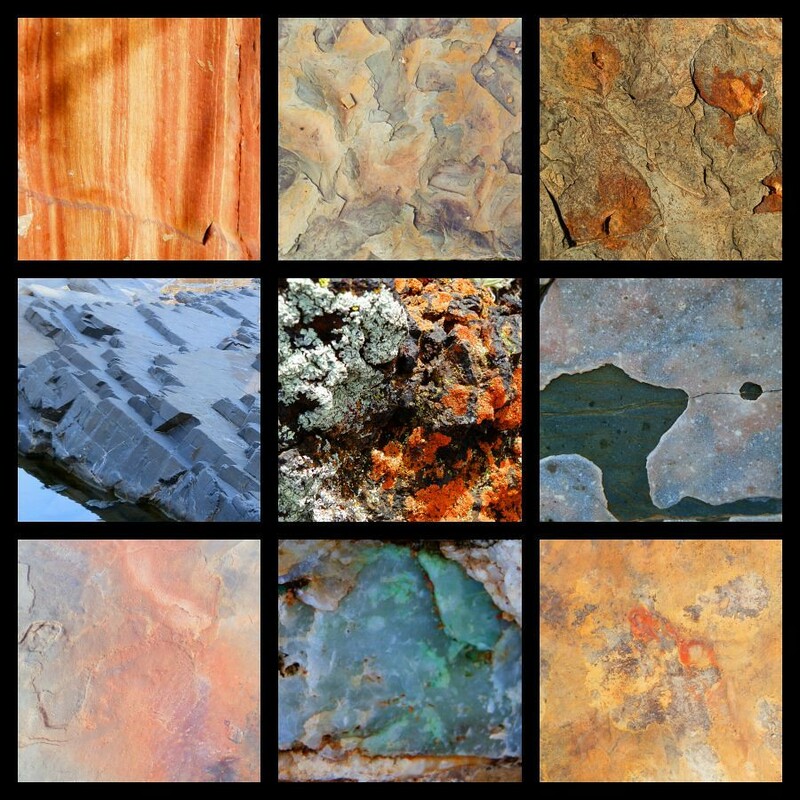 Beautiful photos, lovely Australian colours…won’t get to see that there as husband won’t go on dirt roads, nor can he walk very far….but that’s life! The pictures are so clear, I could almost step into my screen and be part of the landscape. I like our natural China Wall better than the man made one in china. wow! thanks for taking us to these far flung destinations Red and enduring the spinifex and bone jolting ride for us! What fantastic scenery. 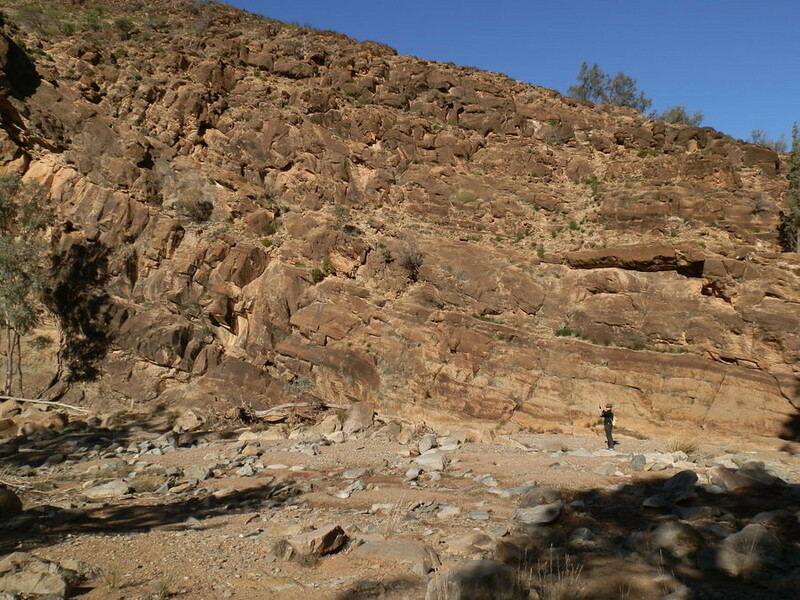 I wish we had gone a little further and gone to Parachilna Gorge when we visited South Oz a couple of years ago. Next time. Another great loo with a view, and love the wildflowers. Happy travels Red. You can’t do everything in one trip, Jill! But that means there’s a reason to come back, right?? Anyway, sometimes I’d rather not go there at all if I can’t explore the region properly!! The Angorichina loo is one of the best I’ve seen in AGES – and all the better for being so close to the attractions! Hope you get to see it sometime soon, Jill! Plenty of red in these landscapes and in the photos of the minerals. This is another great post of more interesting adventures. This is why RED Rocks ROCK, TFG!! I hope you noticed the awesome scenic loo I snuck in there too!! Have a great week, my friend! Thank you, thank you, this was another great post, it has given me more places to add to my list of places to see and to miss. It’s my pleasure to show you this awesome wilderness area, Jo-Anne! It’s VERY different to your neck of the woods and I hope you get to see it for yourself one day! Magnificent Red! I love how you write a story about each place you visit. You really put a personal touch to your travelogues. Some of the photos were a little Bungle Bungles-like with the dome shaped rocks and spinifex covered growth. 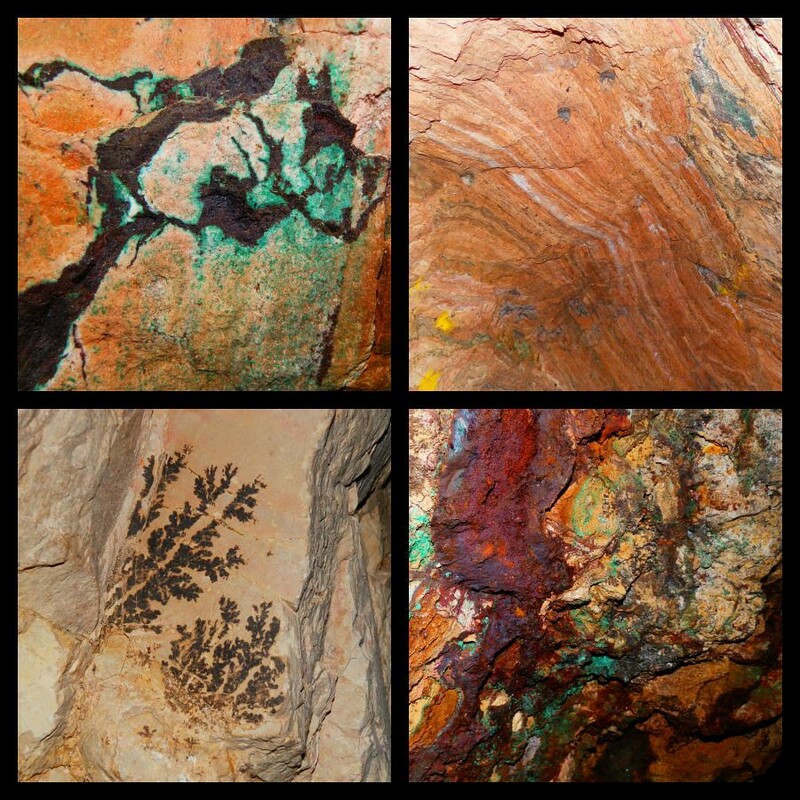 The colours and patterns on those rocks were also amazing. 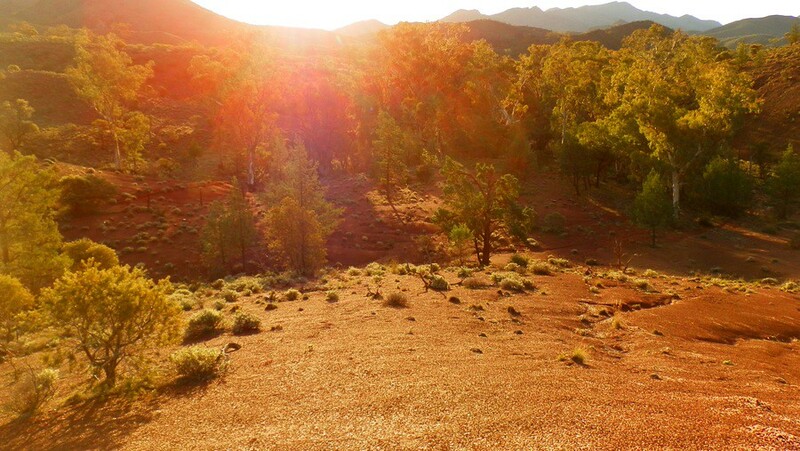 The Flinders Ranges is another place I would love to visit. It’s easy to take a good landscape photo when the scenery is like this, Christie! I bet this is another Aussie region that is similar to yours though?? Have a great week, my friend! Hmm, I think probably Arizona and New Mexico might bear a certain similarity! But no Great Wall of China, to the best of my knowledge. I really like those shots with the shadows falling across the scene. Shadows don’t bother me like they used to, Christie – I used to cut them out, but now I think they make for great atmosphere! I’m sure you DO have ‘Great Walls of China’ – it’s just that your places probably just have more imaginative names? Down here, a ‘Great Wall’ is any rocky outcrop or cliff more than a few metres long!!! The photos are so vivid and the landscape colours like an artist’s palette. No wonder Heysen painted there. This post must surely top the list of your posts with place names I have never heard of. Hahaha, even I wasn’t sure where Angorichina was until we actually went there, Andrew!!! But now you have set me a challenge – I’ll have to go for an even higher number of obscure place names in a future post!! Watch this space!!! Ever since I discovered Pic Monkey I’ve become addicted to mosaics and collages, Tasha! It actually means I don’t have to agonise over which photos to use because I can turn a few into a quick collage!! Nice, huh?! Wow, so many beautiful places to visit. Gorgeous scenic views and lovely wildflowers. I love the colorful rocks and the cute store mascot. Wonderful images and post. Yes, Eileen – all that AND some interesting birds as well!! This is really getting back to nature – but it doesn’t feel like I’m roughing it when there are bakery goods to be had not that far away 😀 Have a great week, my friend! 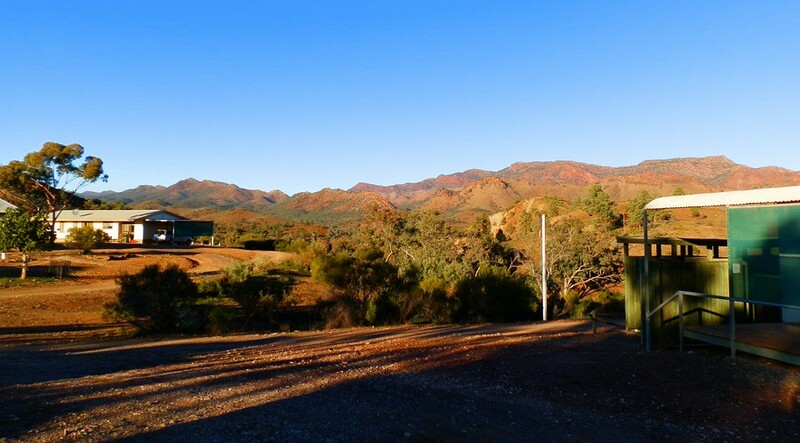 What a great website of our gorgeous Flinders Ranges.. 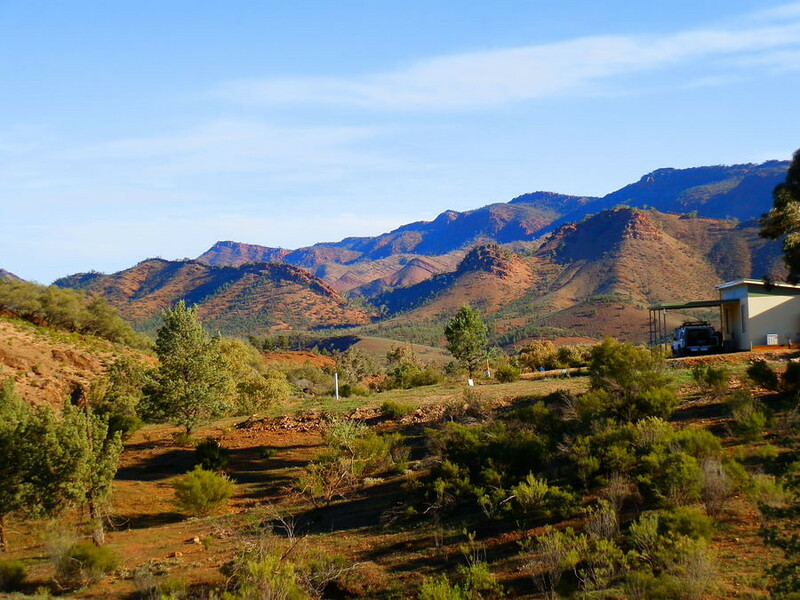 The Flinders Ranges are SO awesome I thought it was time to showcase them properly, Steve! So nice to see you here – come again anytime!